Ypres and the surrounding Salient is full of history and just waiting to be explored. So begin your love affair with this area like so many others by coming on this remarkable three day guided battlefield tour. People have been visiting Ypres in Belgium since the 1920s as a pilgrimage to pay their respects to the many thousands of British, Empire and German troops alike who never returned home at the end of the conflict. Ypres was held by the British, French and Belgian armies from October 1914 until 1918. Its geography formed a salient (a bulge in the line). The defence of such a position is a perilous one as it can be attacked on three fronts. Along with the terrible Flanders soil which became a quagmire when it rained, as well as the threat of attack by poison gas from 1915, makes you wonder why it was so bitterly defended. 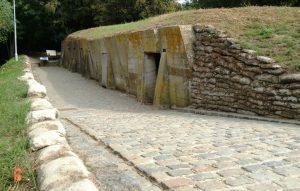 But, defended it was and the Ypres sector saw fighting every year of the war which included three major battles (First, Second and Third Ypres also known as the Battle of Passchendaele). The cost of their determination was horrendous and several hundred thousand lives were lost collectively. There are over 120 military grave yards in the salient alone. Known as ‘Wipers’ to the British troops, Ypres was more or less destroyed during the four years of war. The Cloth Hall ruins stood as a defiant iconic landmark to the passing troops on their way to the front. It was lovingly restored to its prior image with the aid of repatriation money from the German aggressors. It now stands as a beacon of pilgrimage to those who never returned home. 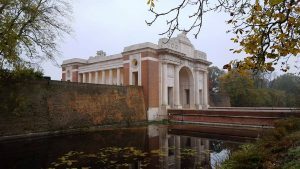 The cemeteries of Ypres and its memorials, notably the Menin Gate, are testimony to the thousands of soldiers who died during this great conflict and have no known grave. 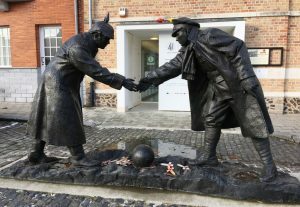 Day One: Depart by coach from your chosen UK collection point and proceed to Dover for our channel crossing by ferry and then on to Ypres to check in to the Novotel Hotel (located in the centre of Ypres). With the rest of the day at your leisure, you can explore this historic and beautiful town visiting St Martin’s Cathedral or St George’s Chapel and finishing at the Menin Gate. 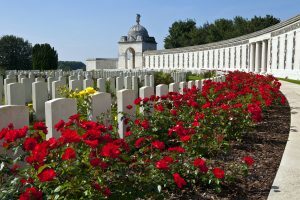 You could visit the In Flanders Field Museum housed in the Cloth Hall or take a stroll along the Ramparts which leads to the stunning Ramparts Cemetery (Lille Gate). In the evening, enjoy a meal and one of the famous Belgium beers in the stunning Grote Markt before taking in the Last Post Ceremony at the Menin Gate that takes place every evening at 8pm. Day Two: Our first full day’s touring starts at the Household Cavalry Memorial, Zandvoorde before moving on to Gheluvelt where the 2nd Worcesters’ bayonet charge restored the line at a crucial time during First Ypres. We then look at the battle’s conclusion at Black Watch Corner before moving on to Polygon Wood and Buttes New British Cemetery. The Ypres Salient contains 120 cemeteries and we visit the largest British War Cemetery in the world, Tyne Cot with 11,965 graves. 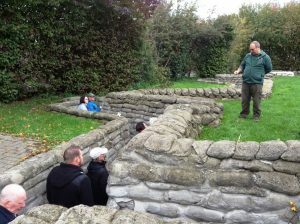 We then move on to look at Third Ypres, Passchendaele and the Canadian Memorial at Crest Farm. From here we visit Vancouver Corner and the Brooding Soldier memorial to the 1st Canadian Division. 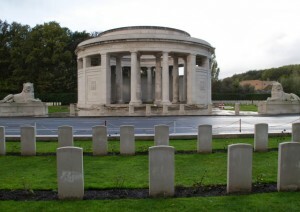 This area was the scene of the first gas attacks in 1915 which culminated in the start of the Second battle of Ypres. 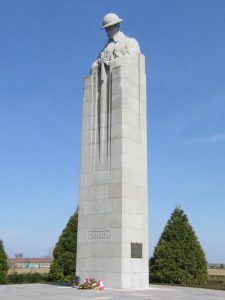 Then we travel on to the German Cemetery at Langemark before taking lunch at the Hooge Crater Café and Museum (lunch and museum entrance fee included in price). In the afternoon we visit Hill 60 and Ploegsteert (Plugstreet) where we see and discuss the Christmas Truce that took place here in 1914 before moving on to see the Ploegsteert Memorial. From here we cross the Messines Ridge over the ground the 16th and 36th Irish divisions attacked on the 7th June 1917. 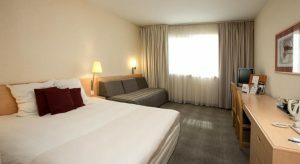 We end the day back at the Novotel Hotel where the evening is at your leisure again and you can take in the haunting Last Post ceremony at the Menin Gate, a short walk from the Novotel. Day Three: On the final day before heading for the port we will take a look ‘behind the lines’ and visit Essex Farm Cemetery with its Advanced Dressing Station where John McCrae wrote the famous poem ‘In Flanders Fields’, Brandhoek Military Cemetery and finish at Lijssenthoek Military Cemetery and visitor centre. 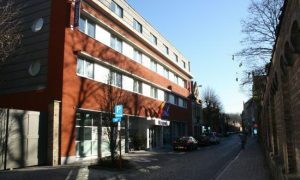 You will be staying at the 3 star Novotel Ieper Centrum Flanders Field Hotel, in the centre of Ypres and a short walk from the Menin Gate and Grote Markt. 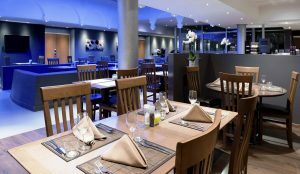 The Novotel features free Wi-Fi, restaurant and bar and for breakfast serves an extensive hot or continental buffet with a range of local and international options. All of the rooms have a flat-screen TV and tea and coffee making facilities. 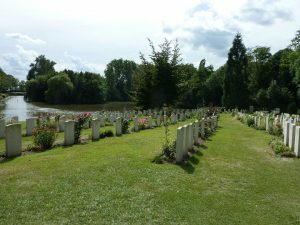 For many people a trip to the battlefields is a personal pilgrimage and the chance to visit a long lost relative’s grave or see their name on a memorial. 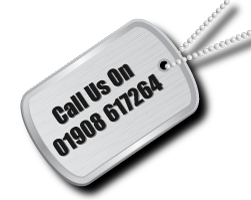 If you would like to stop at a memorial or specific cemetery to pay your respects we will do everything we can to include this in the tour.